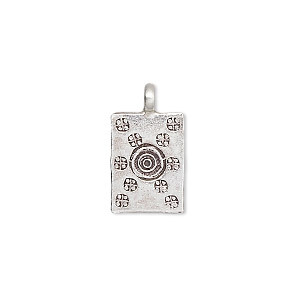 Drop, Hill Tribes, antiqued fine silver, 14x11mm rectangle with solar design. Sold individually. Item Number: H20-A7980FN Have a question about this item? 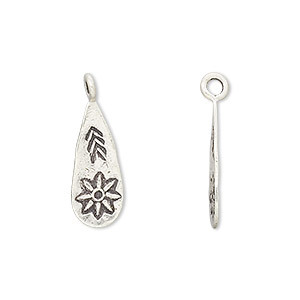 Hill Tribes fine silver drop is created completely by hand in the remote mountain areas of Thailand. 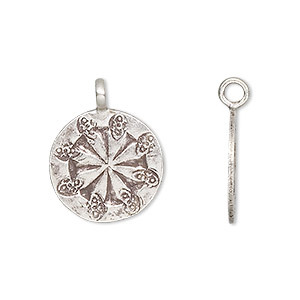 Made using centuries-old, traditional methods in distinctive Hill Tribes styling, this drop has a higher purity than 92.5% sterling silver. 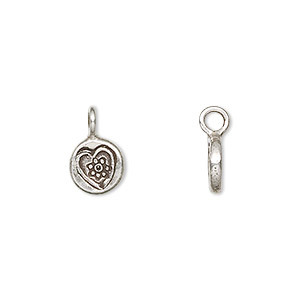 The actual range is 95-99% purity, meaning it's softer, has a whiter color and will not tarnish as readily as sterling silver. Sizes, shapes and colors may vary with handcrafted items. 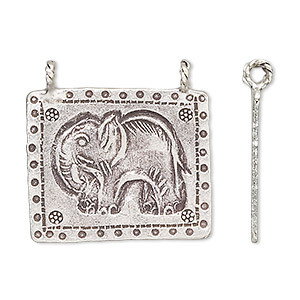 Drop, Hill Tribes, antiqued fine silver, 26x22mm-30x26mm single-sided rectangle with elephant design and 2 loops. Sold individually. 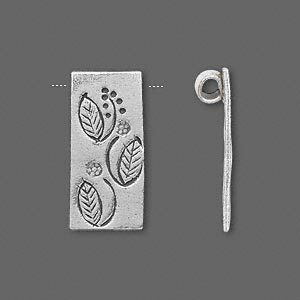 Drop, Hill Tribes, antiqued fine silver, 23x11mm rectangle with leaves. Sold individually. 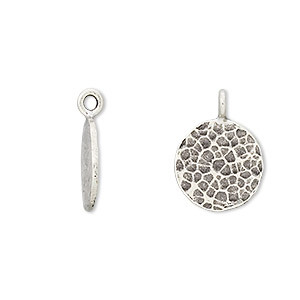 Drop, Hill Tribes, antiqued fine silver, 13mm hammered round. Sold individually. Drop, Hill Tribes, antiqued fine silver, 8mm fancy round. Sold individually. 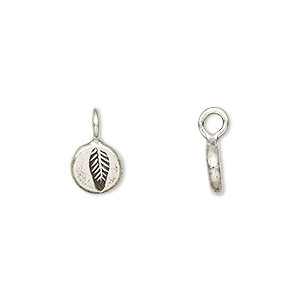 Drop, Hill Tribes, antiqued fine silver, 8mm round with leaf. Sold individually. Drop, Hill Tribes, antiqued fine silver, 17mm round shield. Sold individually. 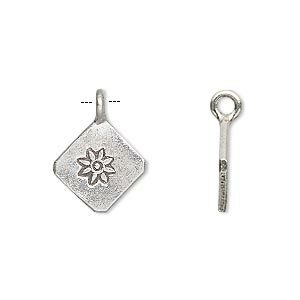 Drop, Hill Tribes, antiqued fine silver, 13x13mm flat diamond with flower. Sold individually.